Parliament on Thursday evening voted against the motion moved by UPND Mazabuka law maker Garry Nkombo urging the government to refrain from victimising public officers who are perceived to have been sympathisers of opposition political parties during the 2016 general elections. A division was called which saw 83 members voting against the motion while 49 voted for the motion. There was one abstention. Mr Nkombo charged that civil servants who originate from North Western, Western, Southern and Central provinces were being targeted with transfers and retirements in national interest. He claimed that the UPND had on record names of young people retired in national interest and singled out the Ministries of Heath, Home Affairs and Defence as some of the major ones involving the purging of civil servants from certain regions and tribes. And the seconder of the motion, Nkeyema lawmaker Mr Kapelwa Mbangweta warned the House not to trivialise the motion because people where hurting back in the affected areas. He demanded that government must provide information on how many people have been retired in national interest in the past one year and show their names, position, qualifications and region of origin and how much it will cost government to fund the benefits. Mr Mbangweta demanded that government must equally show how many people it has employed in the past one year by name, qualification and region of origin. He stressed that if everything was above board then government must not have trouble in availing the information. And Mwinilunga law maker Newton Samakayi said he was speaking for the people of North Western Province whose children and bread winners have lost jobs through unprecedented retirements in national interest. He argued that there was no government policy indicating that people from North Western, Southern, Central and Western Provinces must lose jobs adding that the public service threw its weight behind Fredrick Chiluba in 1991, Anderson Mazoka in 2001 and Michael Sata in 2011and they were never victimised. Monze law maker Jack Mwiimbu lamented that he was against the discriminatory manner in which retirements in national interest were being implemented because certain tribes are being targeted. He warned that the country was being divided and the situation was getting worse. 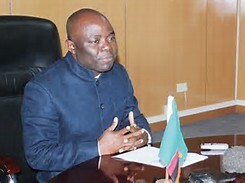 But Home Affairs Minister Stephen Kampyongo claimed that the motion was inappropriate, divisive, and mischievous and argued that the country was anchored on the ‘one Zambia one nation’ motto. ‘This motion is a sheer worst of peoples time, you can only serve one master and that master is PF,’ Kampyongo said.